Don't throw these foods out! 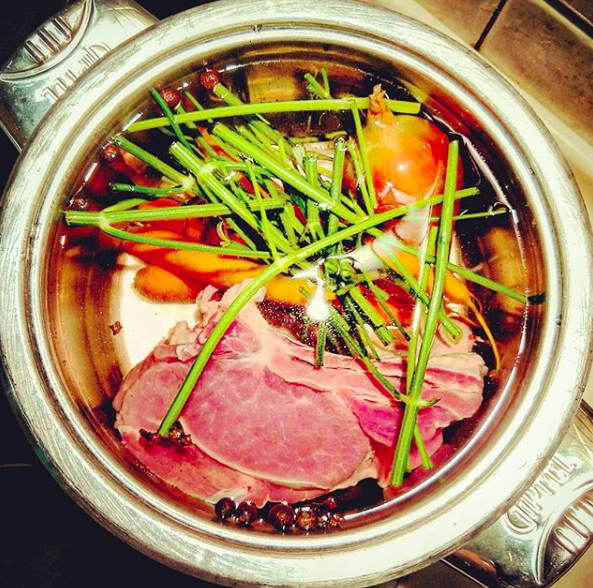 If you're anything like me, you hate seeing all of the food scraps you accumulate during cooking. But many of these scraps are actually pretty darn delicious if cooked properly — and definitely shouldn't be thrown away. Here are 12 of the most common, and how to reuse them. 1. 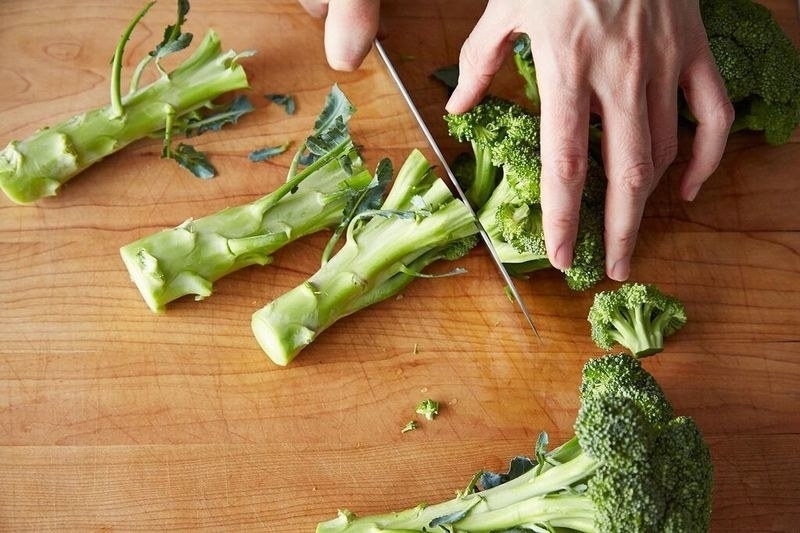 Use broccoli stems to make crunchy slaws, salads, or stir-fries. 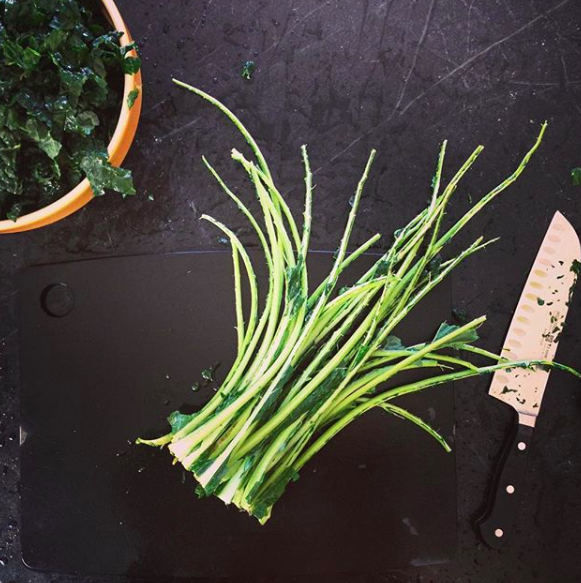 Broccoli stalks are the tender, crisp underdogs of the veggie world. They're delicious in slaws, salads, and stir-fries — just make sure to peel their tough outer skin. 2. Cook the tops of most root vegetables (like beets, carrots, and radishes) just like you would kale or swiss chard. Many veggies come with their leafy tops still attached — and instead of throwing them out, you can totally wilt them down just like you would kale. You can also toss them into a blender and make a bright pesto if you're feeling inspired. 3. 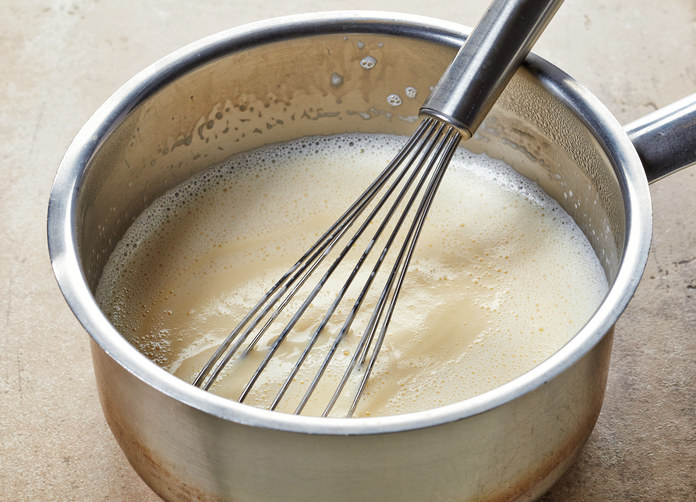 Save your bacon drippings to add a pop of savory flavor to pastas, soups, and vinaigrettes. Bacon drippings are incredibly flavorful and can be used in so many recipes. Making pasta? 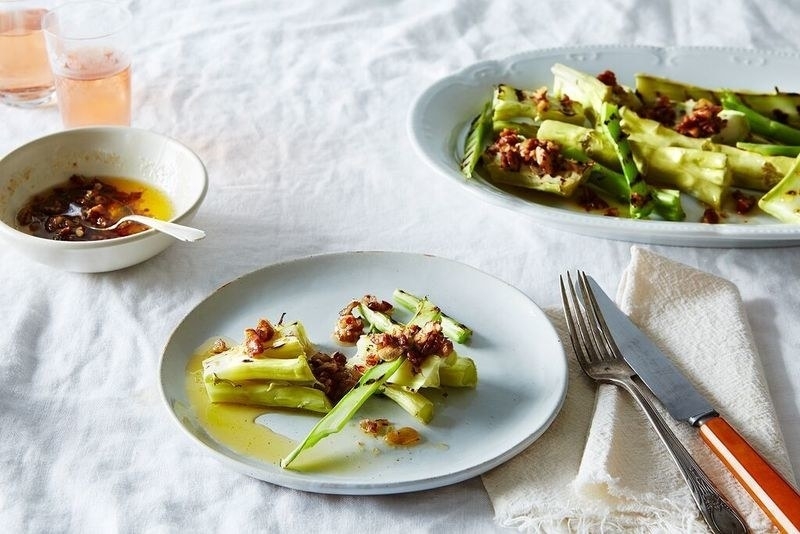 Ditch the olive oil and use bacon fat. Roasting brussels sprouts? Toss them in bacon fat before throwing them in the oven. 4. 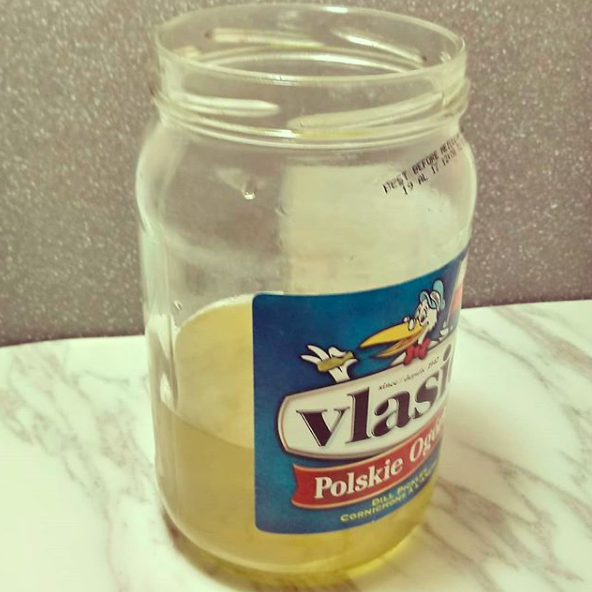 Use leftover pickle juice to quickly pickle just about any veggie. Just heat the leftover pickle juice in a small pot or microwave until boiling, then add whatever veggies you want to pickle. 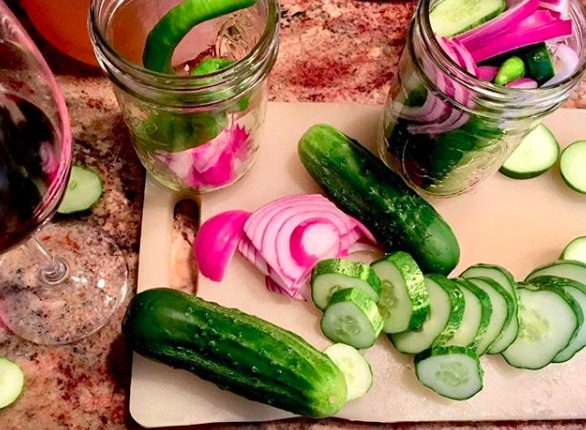 Pop it in the fridge, and a few hours later, you'll have delicious homemade pickles. 5. Use cheese rinds to give soups, stocks, and braises extra savory flavor. Save your flavorful cheese rinds (especially parmesan!) in a Ziploc bag in the freezer. That way, whenever you make a soup or stock, you can throw a rind in to give it an extra pop of flavor. The rind doesn't melt completely, so you don't have to worry about it turning into a mess. Next time you squeeze a lemon, save the peels in a bag in the freezer to throw in the water while cooking grains. It'll give your rice or quinoa a bright, lemony flavor and aromatic scent. Or, alternatively, just candy the lemons to snack on whenever your sweet tooth calls. 7. 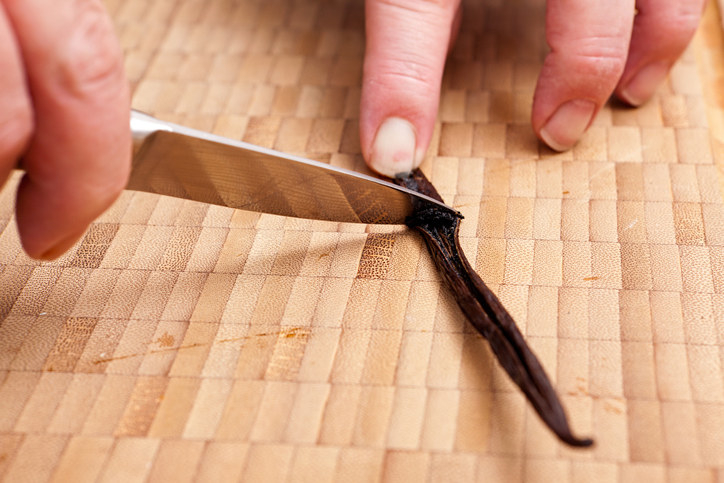 Throw scraped vanilla pods in sugar to infuse it with flavor — perfect for baking with or sweetening your coffee. 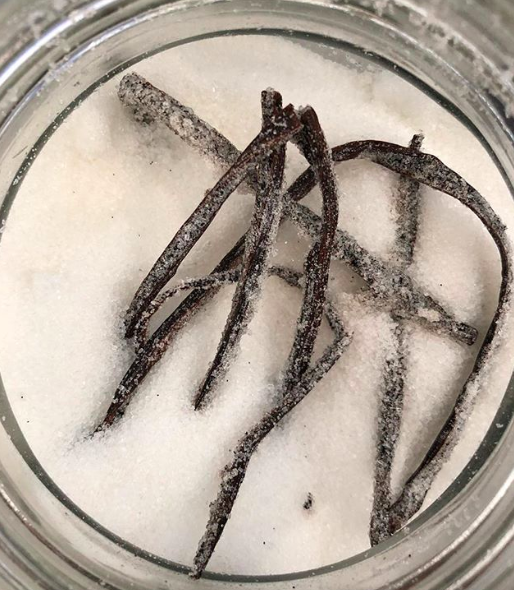 Vanilla beans are expensive, so instead of just throwing away the empty pods, bury them in white sugar to extract the rest of their wonderful flavor. The infused sugar is great for baking with, and is also especially delicious in coffee. 8. Infuse herb stems in stocks, soups, and braises — or make a vibrant herb oil with them. 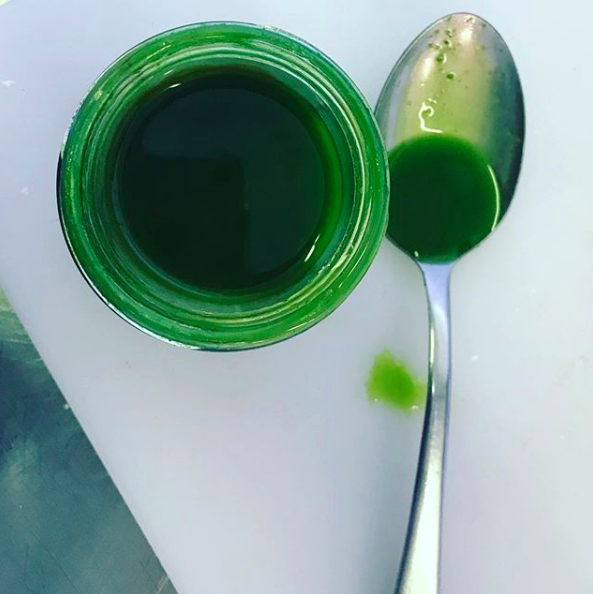 Many people think that the only part of the herbs you should be using is the leaves, but that's not true. 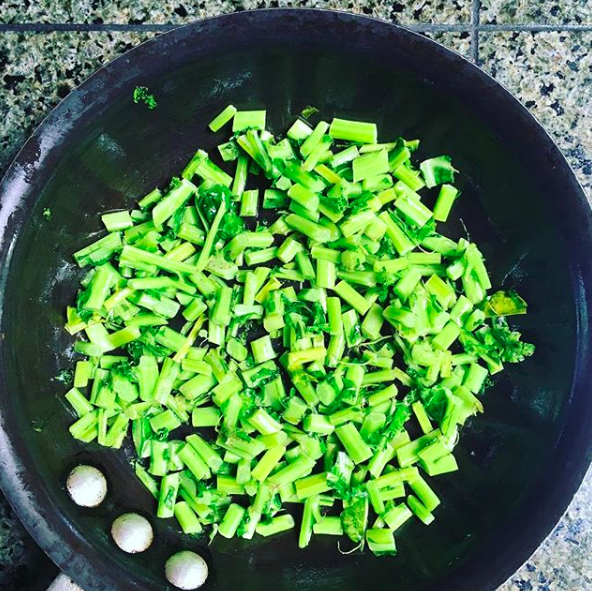 The stems have a ton of flavor and can be used in stocks and braises or used to make vibrant herb oils. 9. Use stale bread to make crunchy panzanella salad, fresh breadcrumbs, or gazpacho. 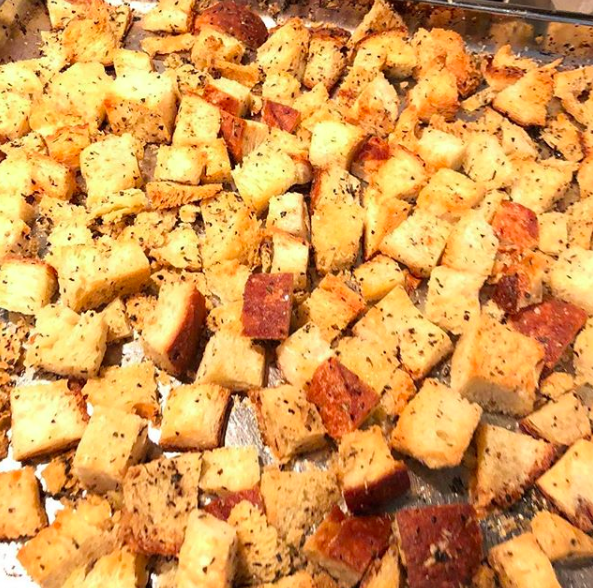 Stale bread is just one step closer to croutons, so don't let it go to waste. 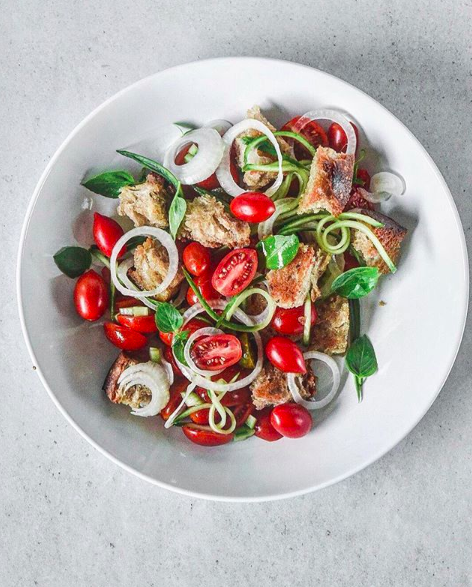 It's perfect for making refreshing panzanella and crunchy breadcrumbs, and can be used to thicken cold soups like gazpacho. If your bread is getting too hard and you don't have plans to use it right away, you can always wrap it in plastic wrap and throw it in the freezer. 10. 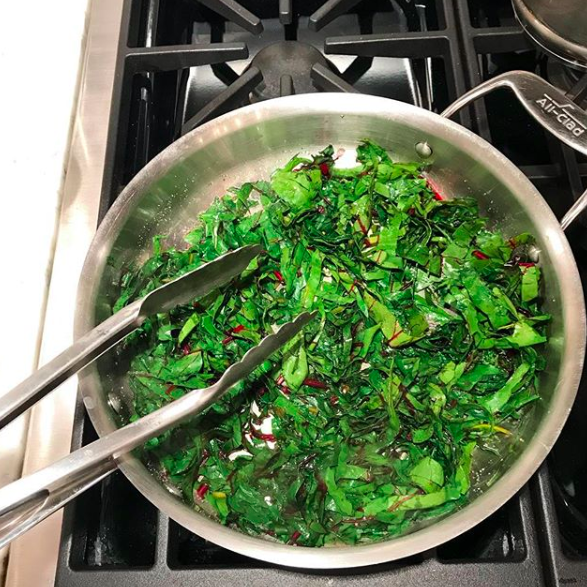 Sauté or stir-fry tough kale stems to make them tender and delicious. 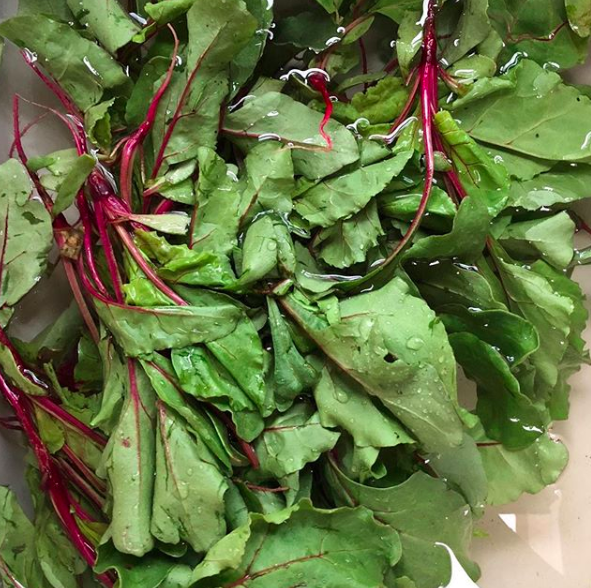 The stems of kale, chard, and other leafy greens are usually too tough to eat raw — but once cooked, they become wonderfully crisp yet tender. Instead of throwing them out, cut them into small pieces and throw them into pasta, stir-fries, and anywhere else you would typically use small veggie pieces. 11. Infuse corn cobs into creams, stocks, or soup to extract every bit of sweet summer flavor. Corn cobs have a ton of sweet flavor, just like the kernels. Instead of throwing them out, save them in your freezer and throw them into stocks and sauces to extract every last bit of flavor and add a subtle sweetness. 12. Infuse banana peels into milk or cream for baking, or for making flavorful hot chocolate. 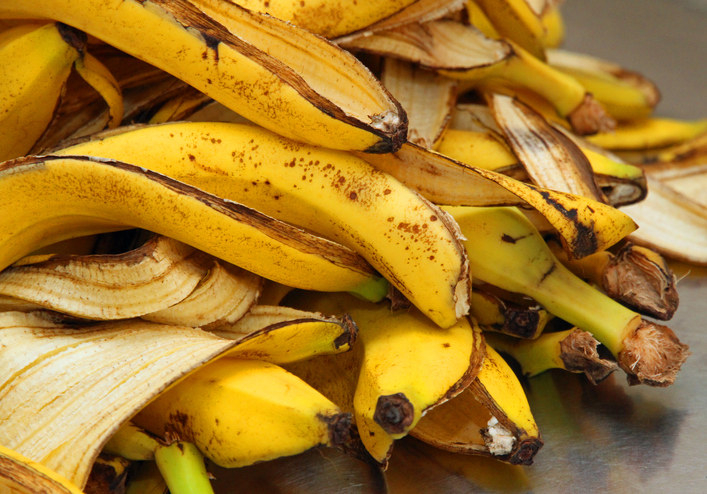 Although tough, banana peels are completely edible and have a ton of flavor. To extract every last bit, steep them in cream or milk and use that to bake with, make hot chocolate, or add to your morning coffee.